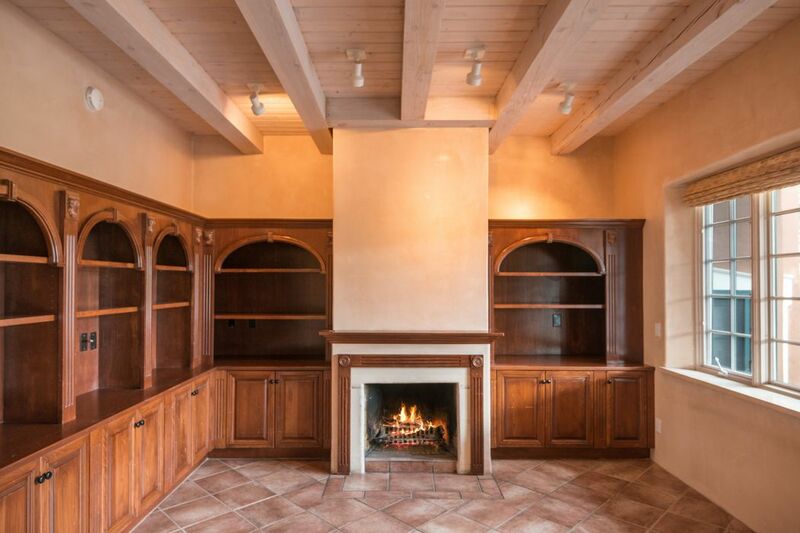 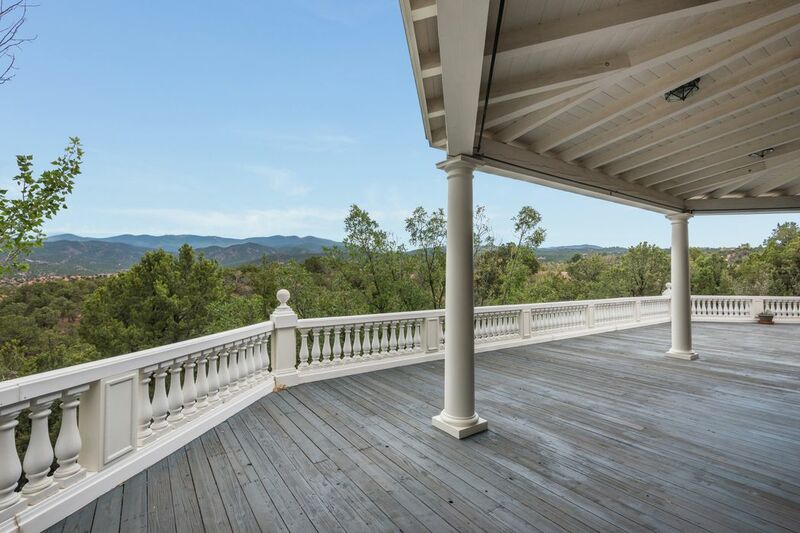 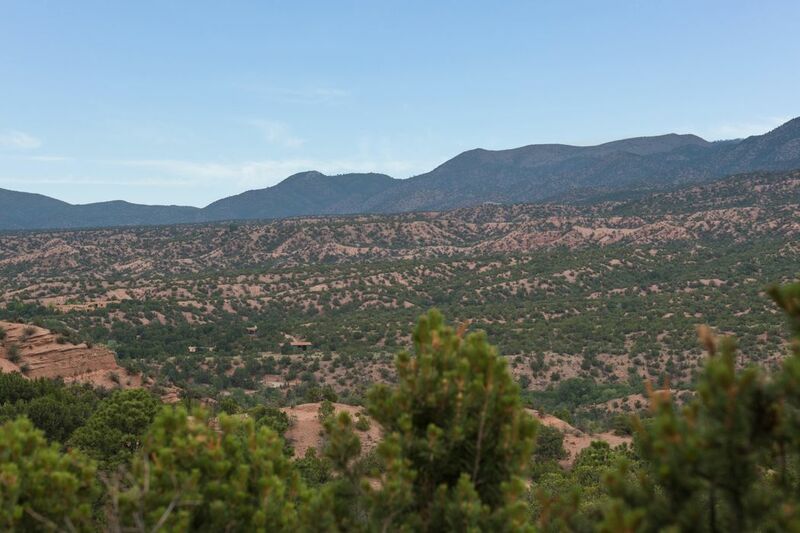 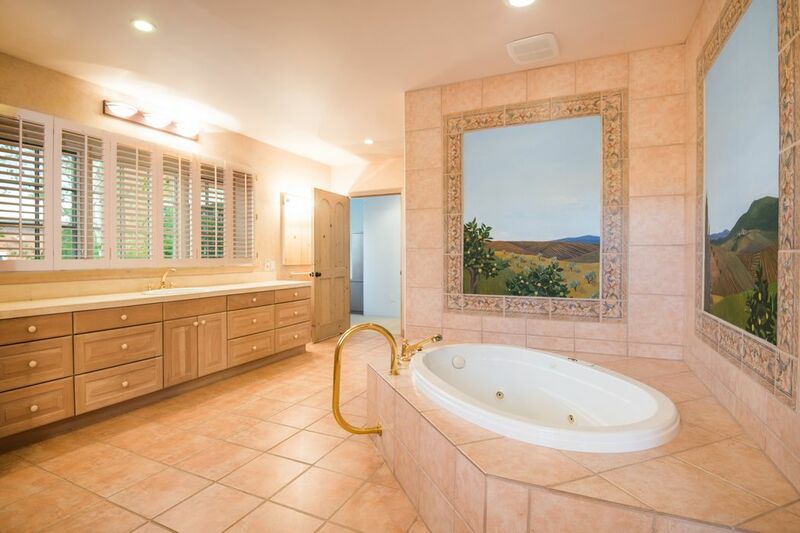 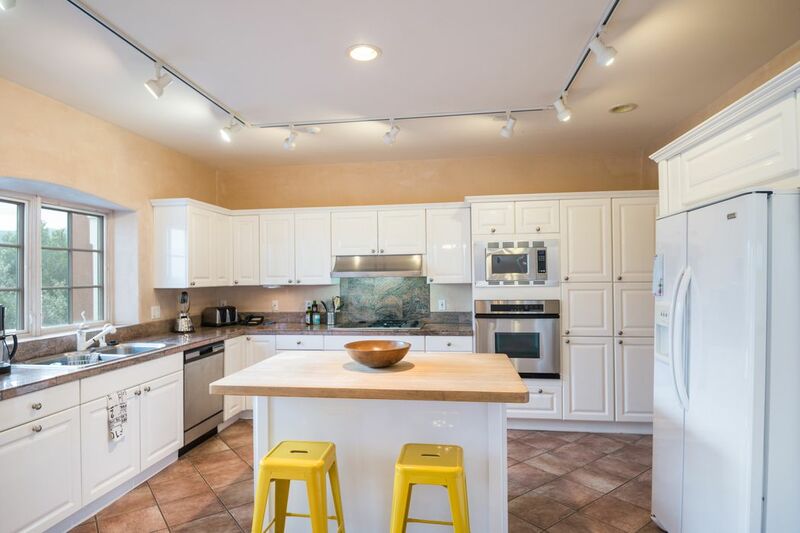 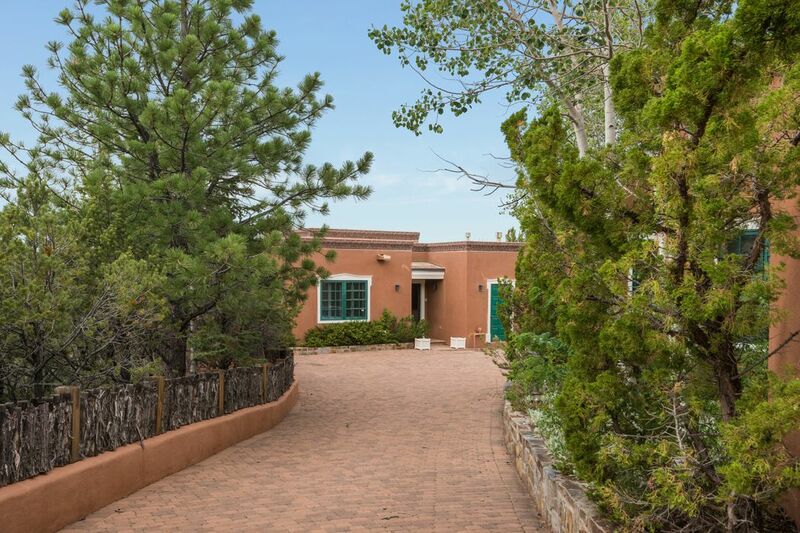 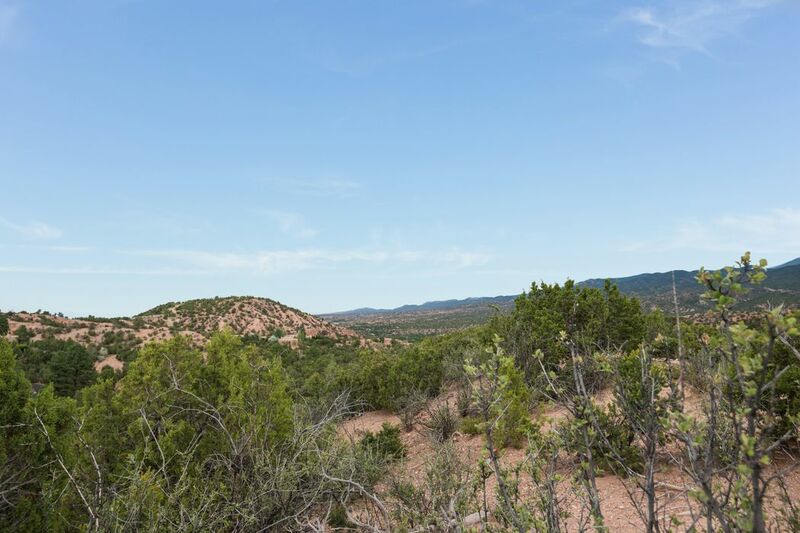 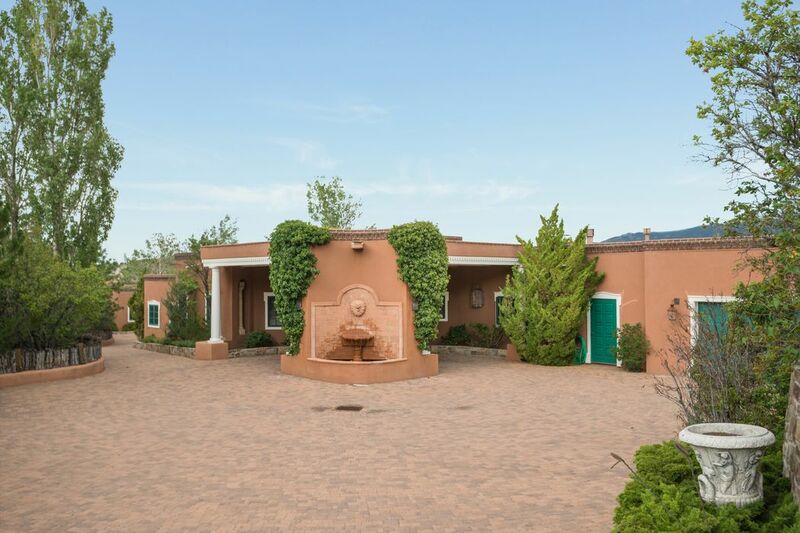 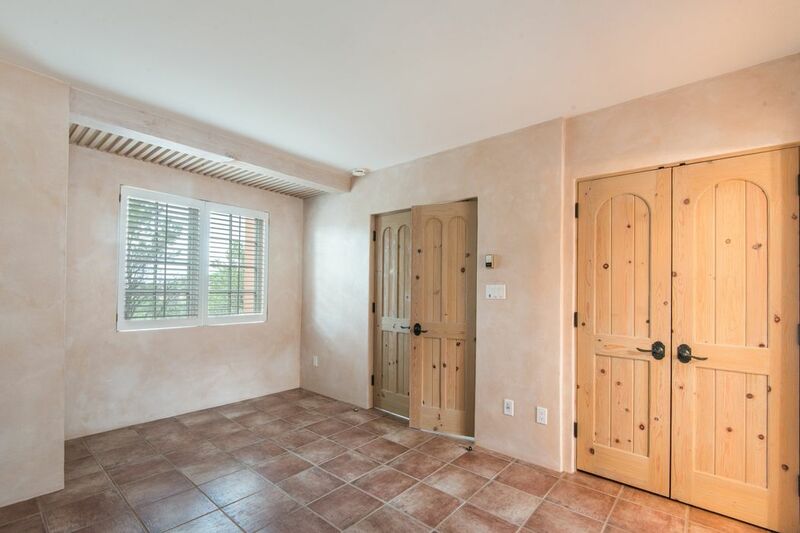 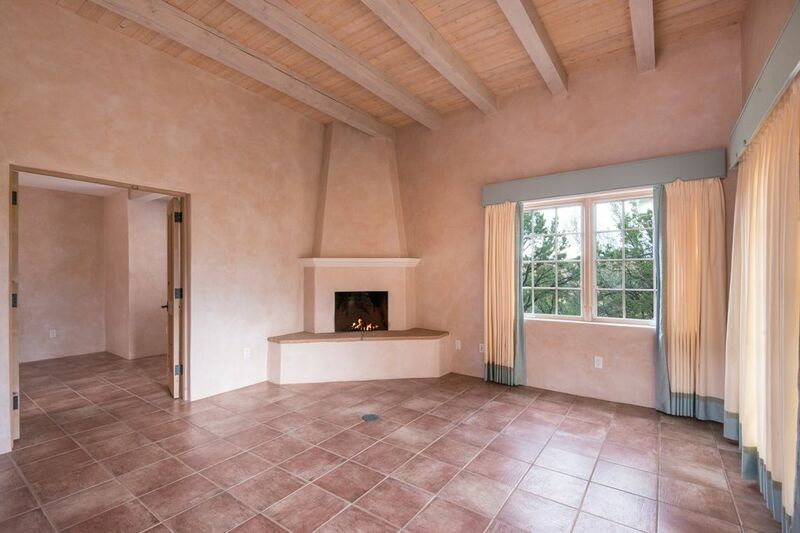 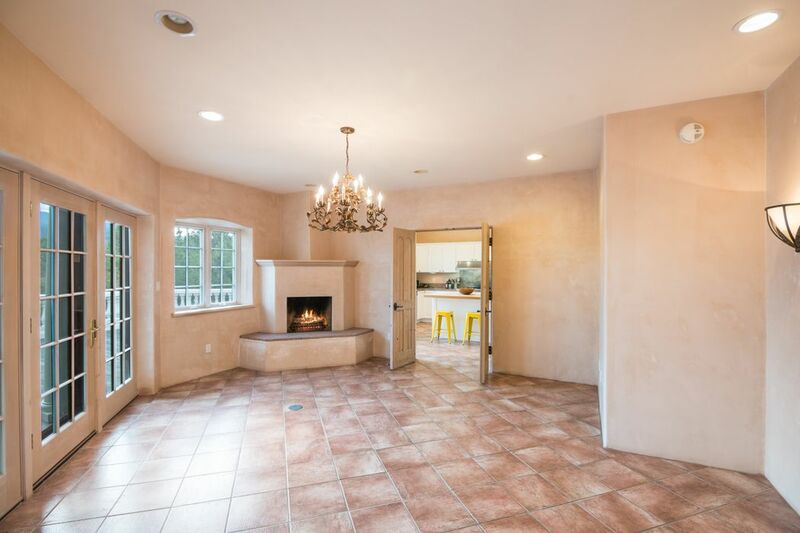 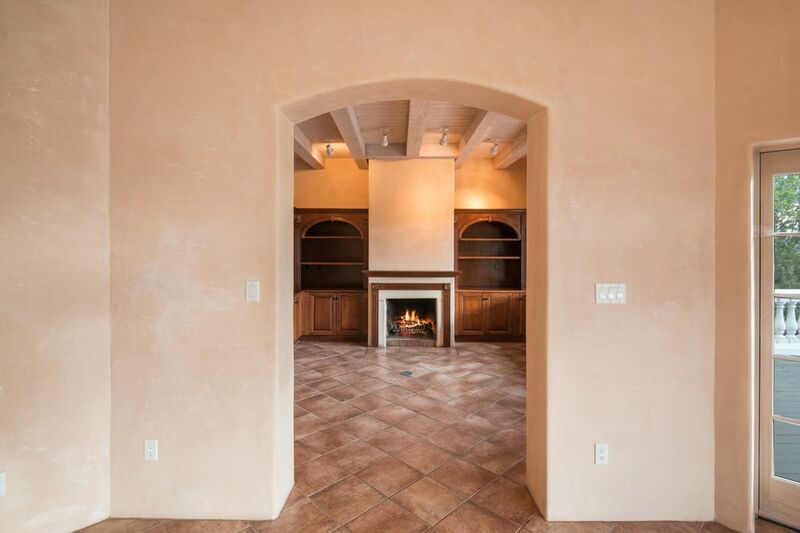 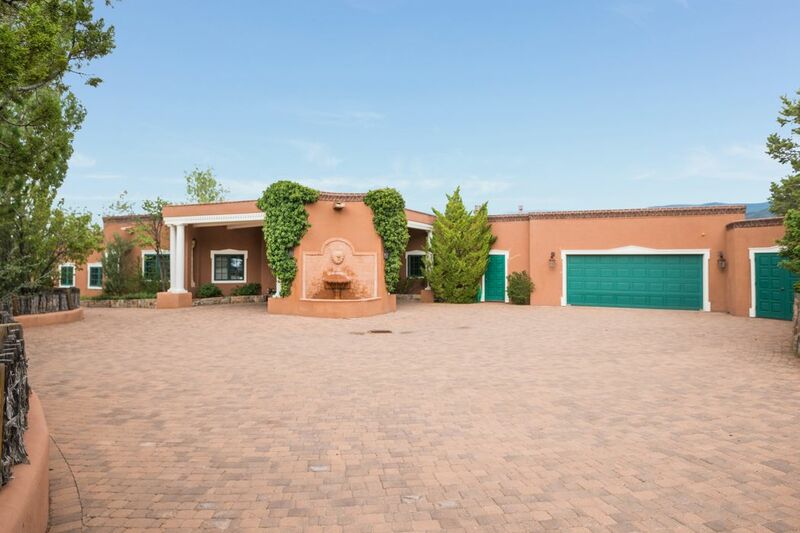 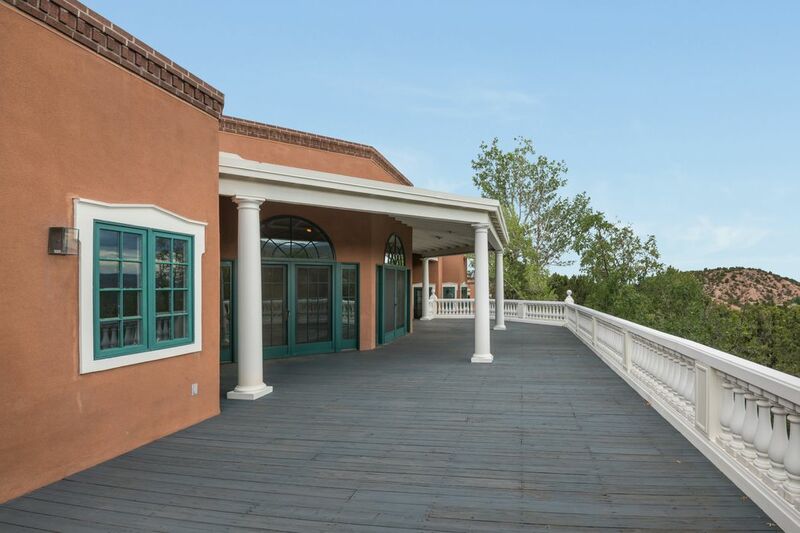 38 Circle Drive Compound, Santa Fe, NM 87501 | Sotheby's International Realty, Inc.
$1,600,000 4 Bedrooms5 Full / 1 Partial Baths5,005 sq. 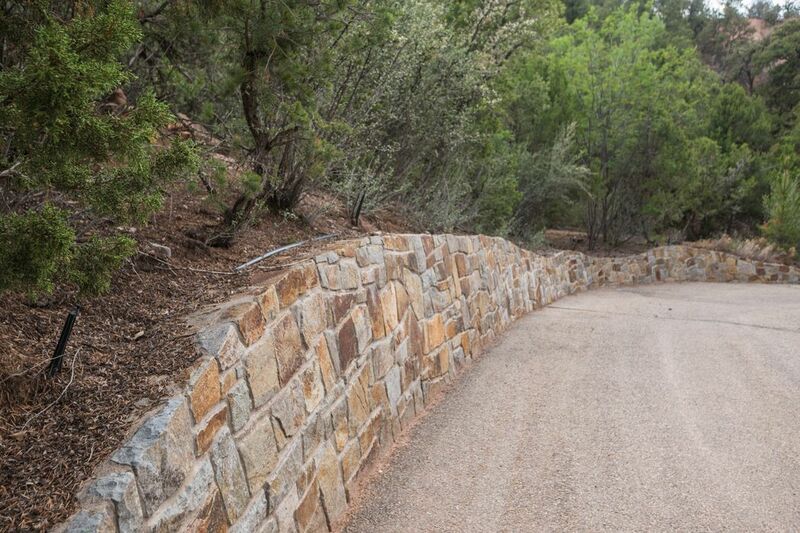 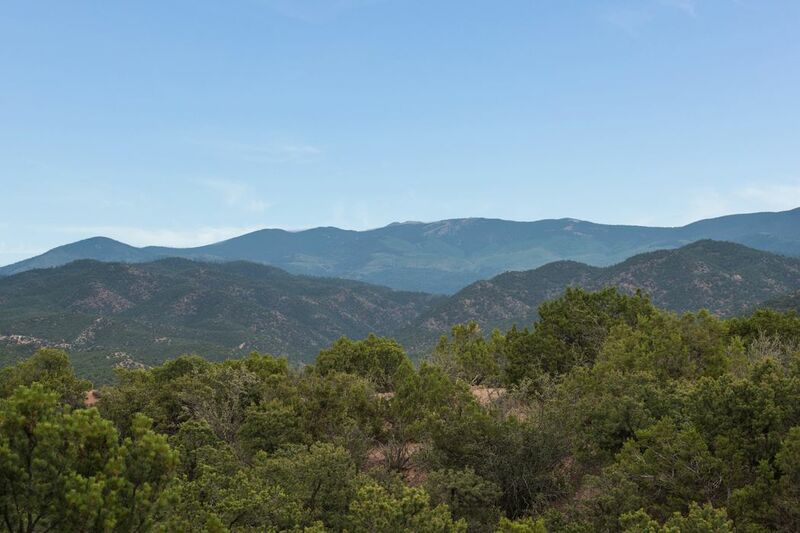 ft.
At the top of a winding drive in the prestigious gated Circle Drive Compound, this unique estate enjoys dramatic panoramas of the Sangre de Cristo Mountains from its very private perch. 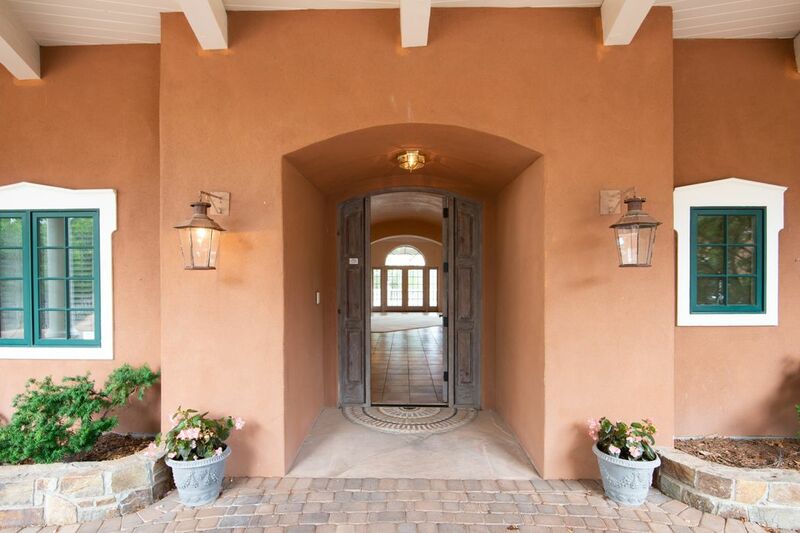 Introducing the home is a classical ivy-clad porte cochère with an Old World fountain. 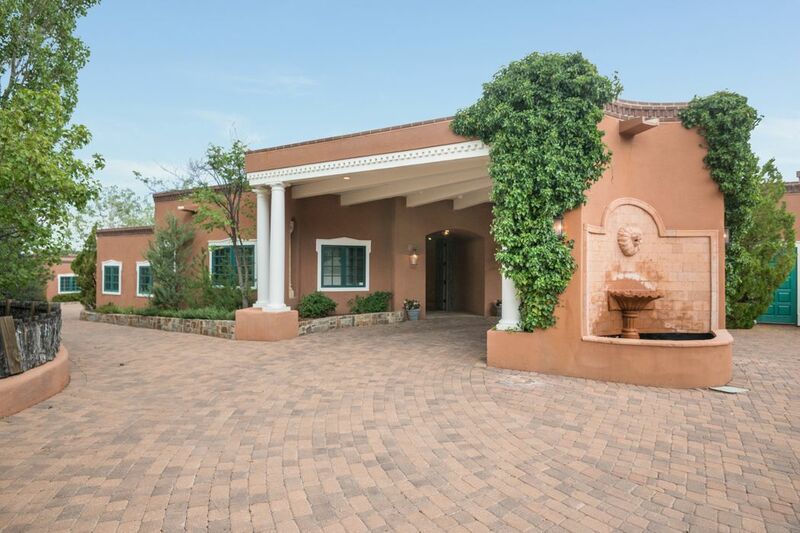 Indoors, the timelessly styled residence is filled with light and boasts elegant spaces with subtle Southwestern touches. 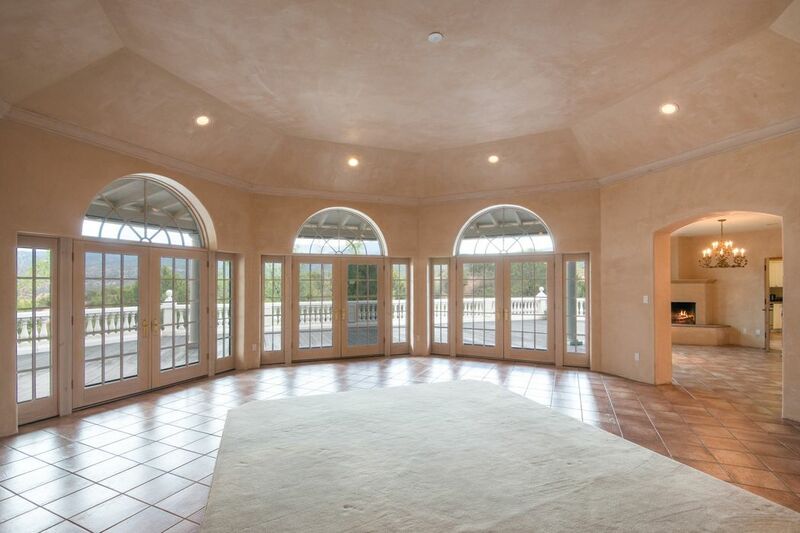 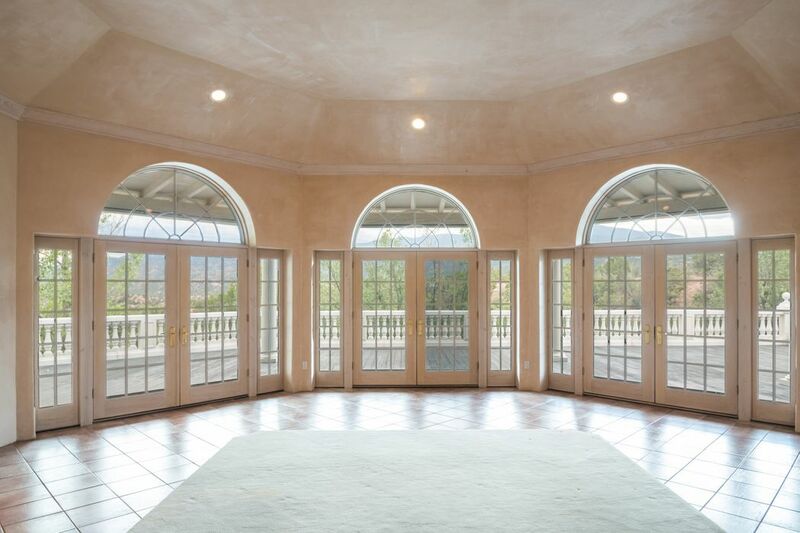 The grand living room features a bank of windows and French doors opening to an expansive mountain-view portal and deck; adjoining are a library and a formal dining room. 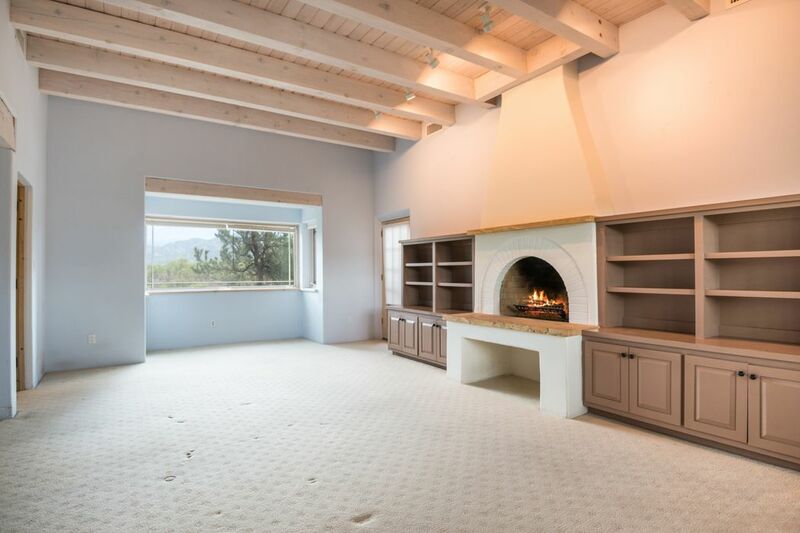 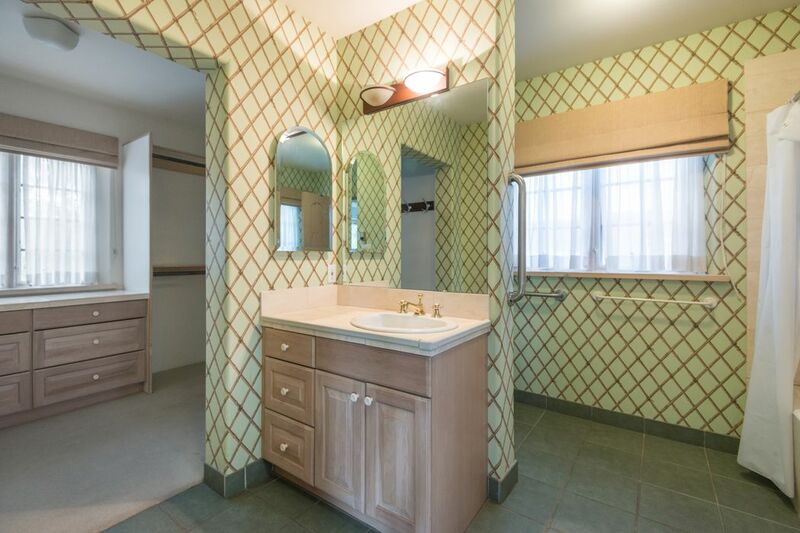 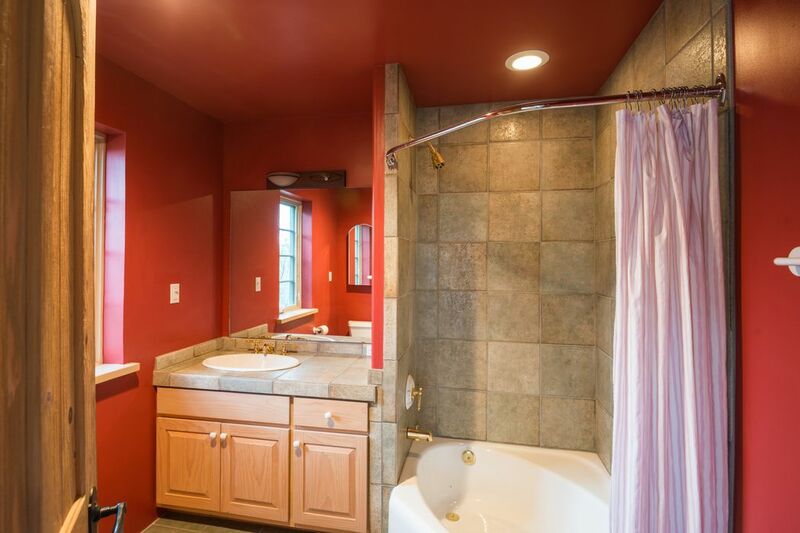 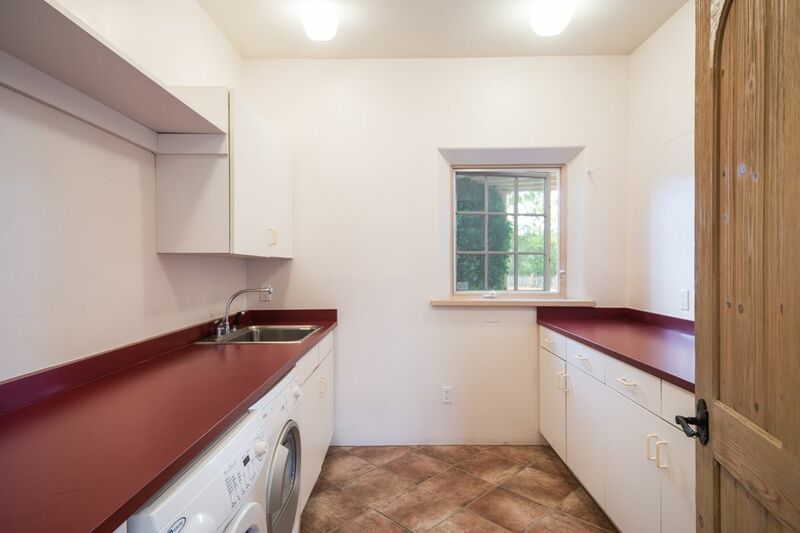 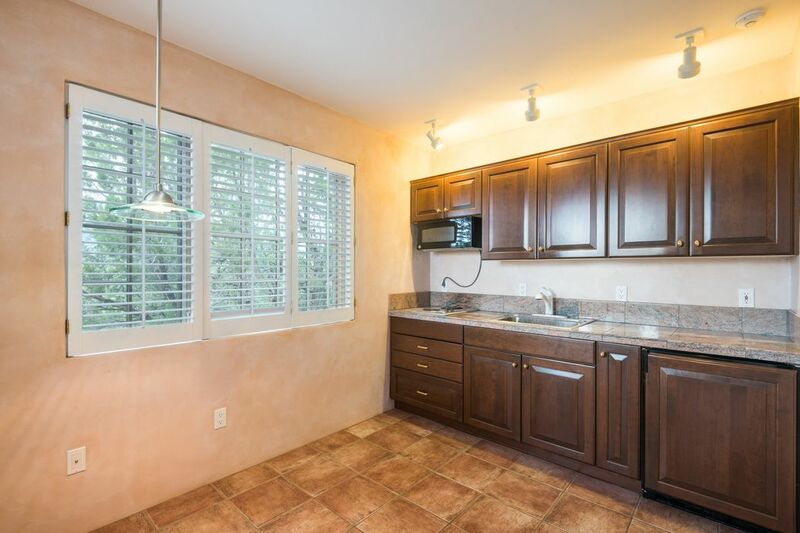 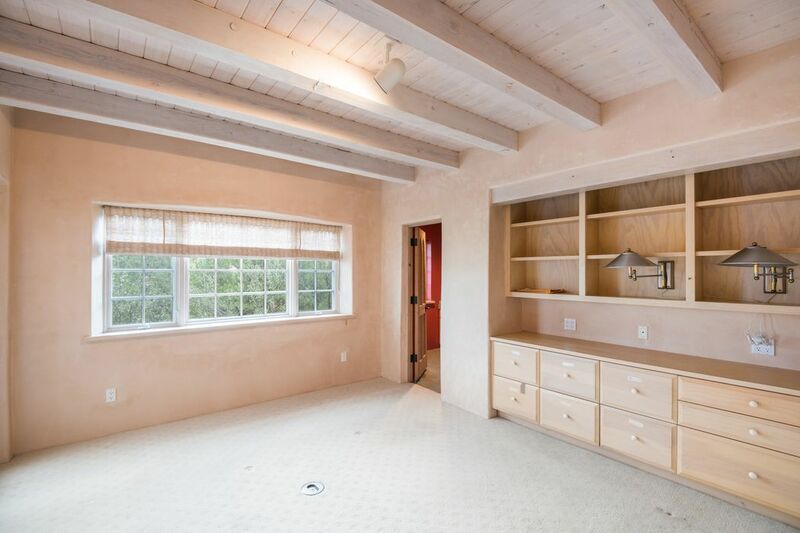 The home also includes a charming kitchen, a two-car garage, a generous laundry area, a luxurious master suite with two baths and a fireplace, a restful guest bedroom, and a well-separated office that could easily serve as a quiet additional bedroom. 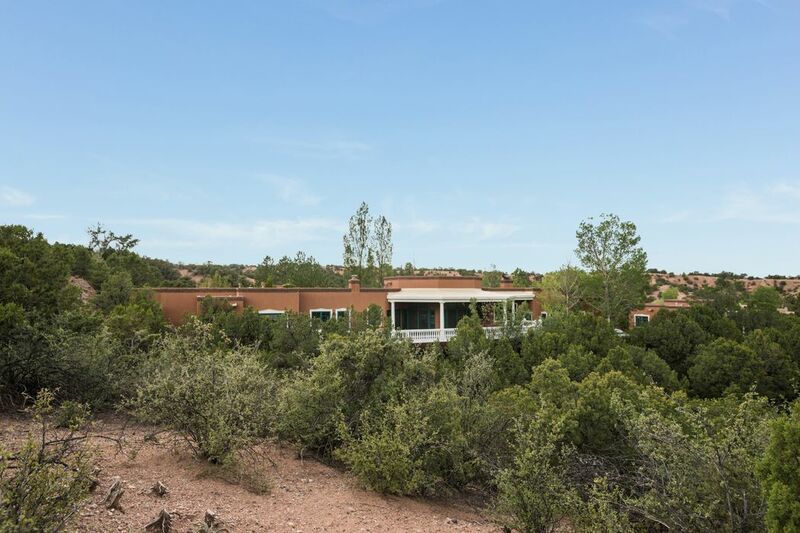 Tasteful native landscaping and a spacious, inviting guesthouse contribute to the feeling of a true estate. 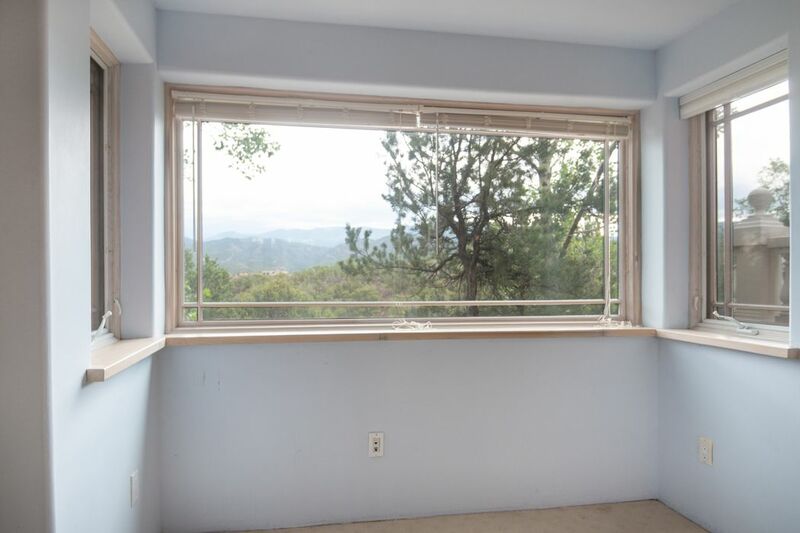 An additional lot is included to afford protected views and seclusion.